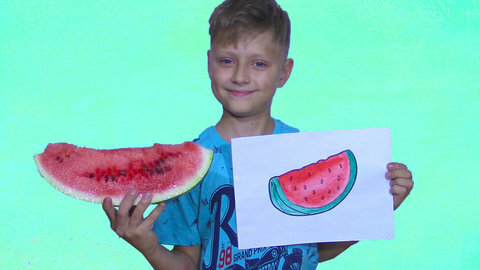 This episode of Igor and Arina’s kids’ videos will help kids learn color with their fruit painting activity. Watch the painted fruit pictures come to life after they finish coloring them. Learn colors while they paint and learn the color family song in this video. Igor and Arina have more more videos for you to watch and you can see them all at SeeZisKids.com.